Learn how to play the classical guitar in a friendly atmosphere! Lessons can be provided for players of all levels, including those who have never touched the instrument before. For total beginners, lessons will cover the most basic technique and learning to read music, leading to easy pieces. Lessons for advanced players are also available for those wishing to build repertoire, perform and learn good practice habits. Lessons are offered in English or Japanese. Free guest parking on the property is available for your use during lessons. I also offer the option of lessons in your home (extra free applies) - please contact me for more details. Yuki studied the guitar at Chetham's School of Music (Manchester, United Kingdom) with Gordon Crosskey and Wendy Jackson, and subsequently at Royal College of Music (London, United Kingdom) with Gary Ryan, Chris Stell and Charles Ramirez. In addition to solo performances throughout the United Kingdom and Japan, Yuki has extensive experience as an accompanist and chamber musician. As part of the flute and guitar duo J-Symphonie, Yuki has made regular visits to the Tohoku region of Japan, affected by the tsunami and earthquakes of 2011, bringing music to the local people in temporary housing units. Notable performances include Cathcart Spring Prom with guitarist Richard Durrant at Royal Albert Hall, London in May 2008, and a performance of Concierto de Aranjuez by Joaquin Rodrigo, with Euodia Orchestra conducted by Toru Himeno, in July 2016 at Tokyo Opera City Concert Hall, Tokyo. 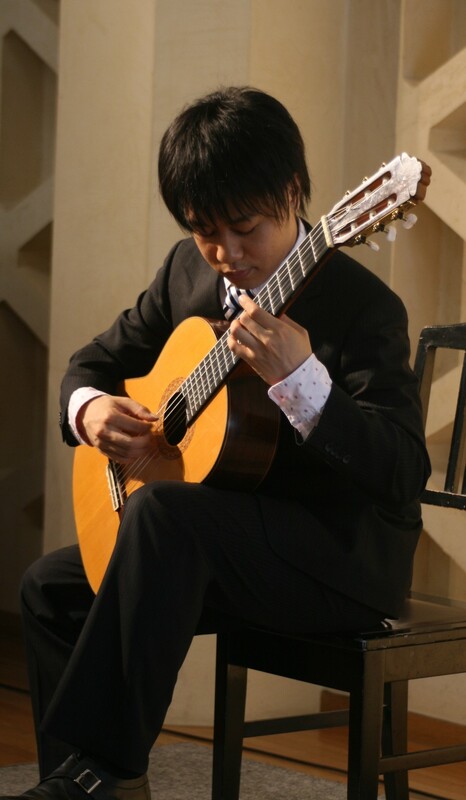 Yuki has also played in masterclasses for such guitarists as Craig Ogden, Hubert Kappel, Marco Tamayo, Alexis Muzurakis and Tadashi Sasaki as well as soprano Patricia Rozario.